Several reports and studies have pointed to the poor state of affairs when it comes to education for minority communities in India. Successive governments at the Centre and the states have initiated several steps to counter this social stigma. Their effectiveness may be subject to debate but what has been more worrying is the absence of deliberation and idea exchange over this crucial issue in our society at large. 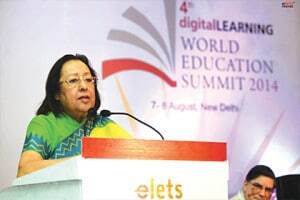 It was with this view that digitalLearning decided to delve into this subject and brought out a special issue on minority education that was unveiled at the inaugural session of the WES 2014 by none other than the Union Minister for Minority Affairs Dr Najma Heptulla. 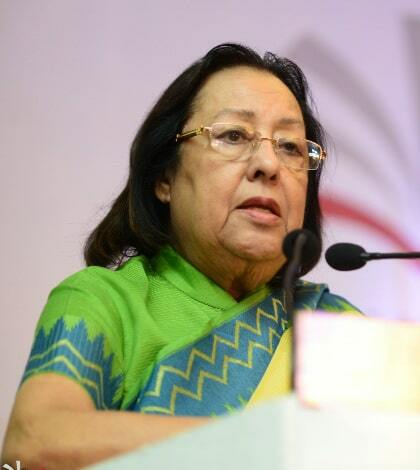 “I believe that if any community is deprived of education, then neither the community nor the nation can progress,” Dr Heptulla said addressing the gathering at the inaugural WES session. “Muslims form the majority among all minority communities and their problems are also greater in terms of socio-economic and educational backwardness,” the minister noted. Referring to the government’s push for the educational upliftment of minorities, she said, “Prime Minister Narendra Modi has said that he would be very happy to see Quran Shareef in one hand of a child and a computer in the other hand. It is essential that our children have access to all the modern gadgets which makes education much easier. In this year’s budget, not only has the PM mentioned it in his speech, finance minister Arun Jaitley has also allocated `100 crore for the modernisation of Madrasas,” she said. “Today, India is in need of quality of mind,” the minister said, adding that priority should also be given to the need for quality teachers and arresting the number of school drop-outs, a majority of which are girls. We often hear that education is a medium that can bring social and economic change. Nothing could hold more true for minority communities in India. “A well educated population, adequately equipped with knowledge and skill is not only essential to support economic growth, but is also a precondition for growth to be inclusive since it is the educated and skilled who can stand to benefit most from the employment opportunities which growth will provide,” notes the Approach to the XIIth Five Year Plan. 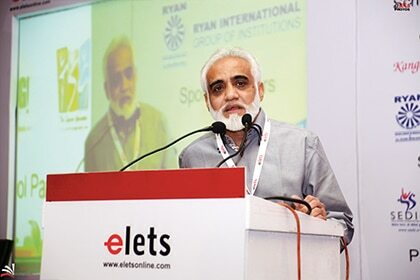 Speaking on the opportunities and challenges in minority education, S S Jena, Chairman, National Institute of Open Schooling (NIOS) said that the Sachar committee report has been an eye-opener for the community and the private sector and that the importance of minority education need not be reemphasised in cities. “Around 40 per cent of our children are school drop-outs after completing their standard VIII. It is also surprising to know that around 80 per cent of the students don’t move into the higher education sector after completing their class 12th education. The question is where do they go?” he asked. Children drop out from schools at an early age due to various socio-economic reasons like supporting their families, unavailability of schools, taking care of their siblings as parents have to go for work or due to marriage at an early age. “We see this particularly in the Muslim minority communities. In that context, it was thought that the NIOS must also contribute and bring them into the fold of education,” Jena informed. On the initiatives of the NIOS, Jena said that the institute has been working in the field of open schooling and for the people interested in pursuing education while doing something else as well. He also apprised the gathering of two important schemes of the government – promotion of quality education in Madrasas, popularly known as modernisation of Madrasas and the scheme for Infrastructure Development in Minority Institutes (IDMI). This scheme, he said, is doing well in supporting development of the infrastructure. “NIOS has been integrated into the scheme of Student Participation in Quality Assurance (SPQA). We have evolved a relaxed norm to ensure that more Madrasas and the children studying therein come into the fold of NIOS. Concurrently, they will be able to study the modern subjects like mathematics, science, social studies, language etc. We have also developed a scheme where modern education imparted is free of cost. We don’t charge any money from the Madrasa students. The only condition is that the Madrasa should have the minimum infrastructure. Under this scheme, the government of India pays salary to the teachers to facilitate learning of these modern subjects,” Jena elaborated. To carry out this activity, NIOS has created an exclusive minority cell and as a result of this effort, 70,000 students are enrolled with NIOS in classes 10th and 12th. “While children focus on religious education, they also study modern subjects so that they are able to compete with other children in subsequent years,” Jena observed. In other initiatives, NIOS also has vocational courses taken up in two states – Bihar (HUNAR project for the skill development of Muslim minority girls above 14 years of age) and replicated in pockets of Delhi where the Muslim population is high. This, believes Jena, has helped girls start their own businesses and also motivated them to join mainstream education. “To boost minority education, we have also signed an MOU with Nation Commission for Minority Educational Institution (NCMEI). The purpose is to bring more minority institutions into the fold of this institution. The progress may be slow, but it is opening up and people are realising that it is education which can empower them in the society,” Jena added. The poor state for education of minority communities is not only a result of poor policy initiatives or lack of intent from the government. It is also a matter of lack of understanding of the benefits of education among members of the community. Education, to them, will make more sense if it is linked with livelihood and this requires specialised knowledge of skills. Dilip Chenoy, MD and CEO, National Skill Development Corporation (NSDC) informed the audience that there are over 70 schemes available to develop skills in different areas. 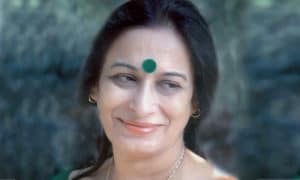 Two of them of importance to the minority community include the JEEVIKA skills programmes for people below the poverty line and minorities in rural areas. One of the conditions is that after training, at least 70 per cent of these students should get a job. The second scheme is under the Ministry of Housing and Urban Poverty Alleviation which promotes skilling for people in urban areas who can join the skill development programmes and get employed. “The idea here is that if you are actually running a minority institution, and you have students who wish to get skilled and qualify as a beneficiary in any one of these categories – either in the urban centres or in the rural centres – you can approach the ministry and become an approved training partner or you can approach an already approved training partner and mobilise students for them,” Chenoy informed. In the recent budget, the Finance minister spoke about the launch of a skill India mission. The government has also looked at the development of special schemes for weavers, welders, cobblers, carpenters etc and this is another area where minority institutions can take a lead and make the change happen. NSDC has approved the funding of 150 training organisations, the idea being setting up training centres in about 367 districts of the country. Some of these training centres fall in areas where the minority population is less than 25 per cent. “In these districts or states, the benefits that are available if you have a minority population of more than 25 percent are not applicable. If you could connect with these training institutions, enroll your students in these institutions and after they finish their skill development programmes, they can actually get a job,” Chenoy added. 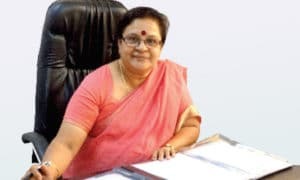 Dr. Shabistan Gaffar, Chairperson, Committee on Girls’ Education, National Commission for Minority Educational Institutions, has been at the forefront of countering societal mindsets that deter girls from minority communities from getting educated. 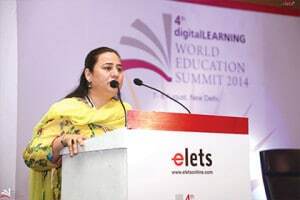 Speaking of the purpose behind NCMEI’s collaboration with Elets at WES 2014, she said they wanted to know how minority institutions from different parts of India, especially Muslims, have contributed in the education and other sectors of the society. “Through this platform, we can share our experiences and discuss things that need to be done to bring quality in education within our respective institutions. This platform will become a place for networking for different institutions,” she said. The state of education for minorities in India over the years may not have grown by leaps and bounds. That, however, does not imply that this field has been devoid of any achievement or success stories. Syed Qaisar Mahmood, Chairman of The Oxford Square, has served as an advisor in the Gulf for 18 years. On his return to India with an intention to do something which could have a lasting effect, he went to slums in different areas of Delhi and requested their parents to send their children to the Oxford Square, an educational institution he set up to provide free education to all children. “Although it is an institution which caters to the needs of the slums, it is one of the best educational institutions in the country,” Mahmood said, adding that the school, in fact, is a second socialist institution. “We have achieved a lot of success at the Oxford Square. We have brought in revolution in the thoughts and in the health of the slum children,” he added. Education leaders must take the lead and establish institutions for primary education if we really want to see any change in the scenario for the Muslim community. “We must focus mainly on primary education. 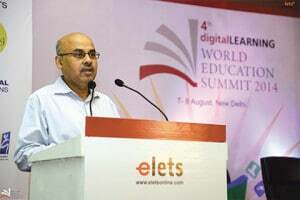 If as community leaders, we initiate establishing one classroom, one teacher, I assure you that after ten years, you will have 10 classrooms, ten teachers,” said Mahbubul Hoque, Chancellor, University of Science and Technology, Meghalaya. Usmaan from IQRA school in Mumbai highlighted a challenge that is common to many such institutions. “We started a school which imparted education in English and Arabic. We faced a lot of problems in functioning as many people were against it since it was not recognised as well. But after a year, the school started doing so well in terms of education and results, that people started admitting their children in our school. And presently, in a span of five years, we have 40 branches of the school. And we also have our own syllabus,” he said. Similarly, CP Kunhimohammed, Chairman and President, JDT Islam Group of Institutions, spoke about Kerala’s success story in terms of literacy rates. 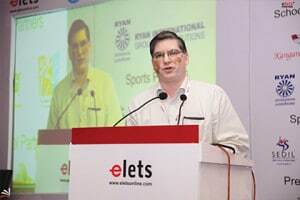 “Kerala is a state with 100 per cent literacy rate and the Muslim population here is about 80 per cent. The Muslim minorities are getting even more education than the majority communities in Kerala,” he said. Societal resistance is just one of the operational issues that minority institutions face. “There are problems of funds when it comes to minority institutions. The Minority Affairs minister should do something for financing minority institutions. 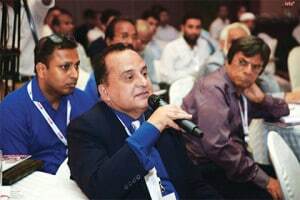 Also, where recurring expense is concerned, the government should also provide capital for establishment and for the development,” said Usman Sayeed, Founder, Surat Young Muslim Graduate Association, Gujarat. Dr Gaffar from NCMEI apprised him that Dr Najma Heptulla has discussed Public Private Partnerships which is the best solution for minority institutions to sustain. “She has also asked the finance minister for enhancement of the budget. So lets us wait for a few months and hope for the best,” said Dr Gaffar. Amid stories of success and challenges, there was also inspiration. 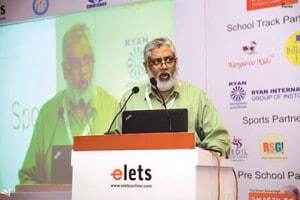 “I established a school along with two friends with just 25 students in 1982 and a capital of `322,” informed Shaikh Sulaiman Karol, Chairman, United Education Society, Unity High School. “Currently, we have around 700 students and our school has classes up to class 10. But the problem is that the state government is not allowing us to open standard 12 which is a great setback for us,” he said, adding that they were also keen to start a vocational stream. NSDC’s Chenoy informed him about the procedure and requirements to set up a skill development centre. “If you don’t want or don’t have the ability to invest in the infrastructure, you can approach NSDC, where we have lot of partners who will be willing to invest their own money and open a skill development centre in your school,” he added. Similar issues were also raised by Prof. Dr. C V Raghuveer, Registrar of Yenepoya University. “We are a health sciences university running courses in dentistry, medicine, nursing and physiotherapy. Although we take students from the other communities but majority of our students are from the minority Muslim community and majority of them are Muslim girls. We also want to open a vocational skill training centre for the Muslim minority community and make them employable, so we need help from the NIOS and NSDC,” he said. The quality of education and the challenges associated with running an institution also differ geographically. “There is a vast difference in the quality of education in the metropolitan cities and in places like Assam,” said Nurul Islam Laskar, Executive Officer of Ajmal foundation, Assam. “Around 30 per cent of the population of Assam is Muslim but their literacy rate is the lowest across India. When it comes to girls education for minorities in the North East, it lags far behind. I request all the stakeholders to look into these issues and help encourage and strengthen minority girls education,” added Nurul. The WES 2014 also provided a big platform for many representatives from minority institutions to share their stories and also air their views and moot suggestions that could help improve the system. “Many more minority students should be provided education and what is required is more reservations, scholarships, grants and hostel facilities. In addition to the federal government, the state governments also need to be sensitised to provide necessary concessions and facilities and should also encouraged civil society organisations, non-government organisations and different philanthropists to come forward and empower the education sector,” said Dr Fakhrudheen Muhammed, Secretary, Muslim Educational Social & Cultural Organisation (MESCO), Hyderabad. The idea behind engaging leaders in the field of minority education was not to come to some form of a conclusion. 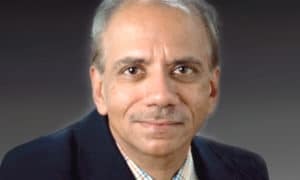 Instead, the idea was to hear voices and counter the sterotypes that exist in the average Indian mindset when it came to education for minorities. The intent was also to form some roadmap as to how things discussed at this forum could be taken ahead. And Mansoor Rashid, Director, Mayfair College, summed it up aptly. “I simply believe in the philosophy of each one teach one. So, we as education leaders, should take up initiatives to impart education to every child, especially the Muslim minority children, so that they may progress and go ahead in making a better future for themselves, for the society, community and the country at large,” he concluded.